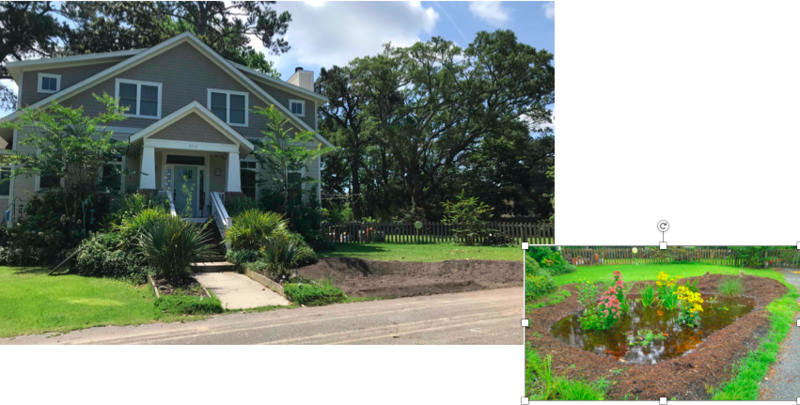 The Surfrider Foundation Cape Fear Chapter’s Ocean Friendly Gardens Program partnered with several community organizations in 2018 to build awareness of how rain gardens can help reduce stormwater runoff. 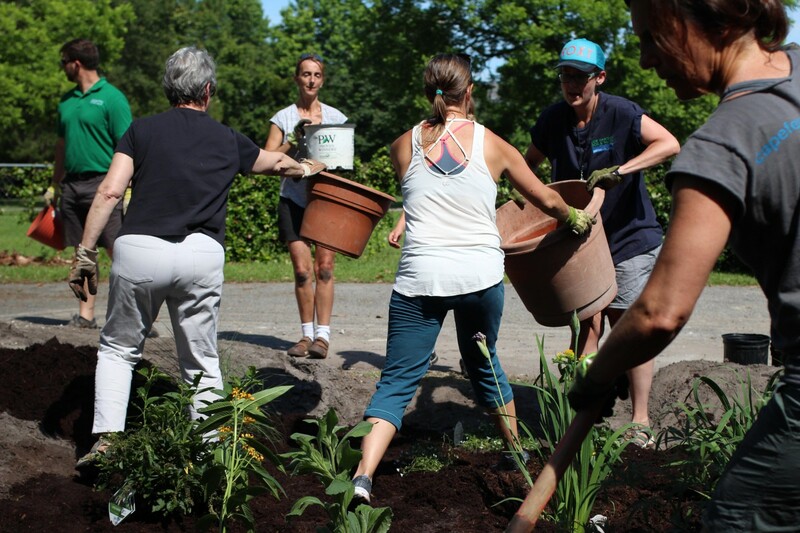 Two events held during the year focused on educating local residents about the benefits of constructing rain gardens and culminated in the construction of a residential rain garden to reduce stormwater runoff into the Hewletts Creek watershed. 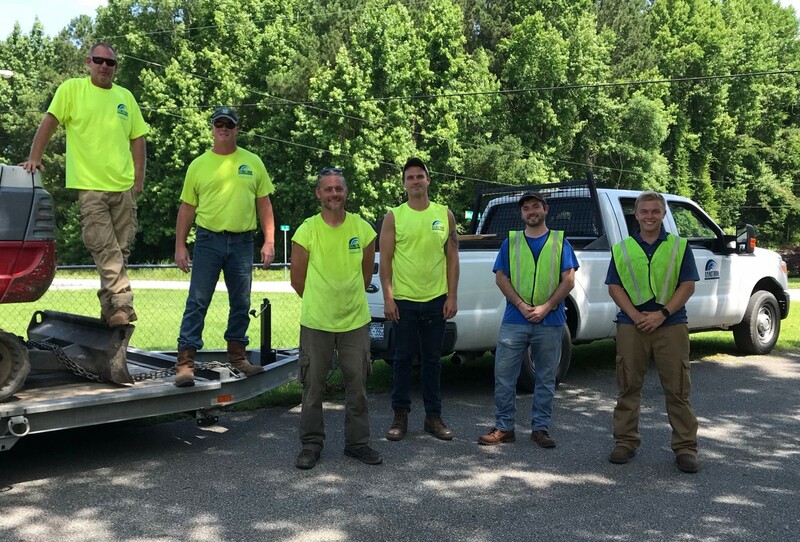 The first stage of the York Residential Ocean Friendly Gardens Project was an OFG Talk for area residents held at the New Hanover County Arboretum. Geoff Goss, Watershed Coordinator with the City of Wilmington Heal Our Waterways Program, spoke with residents about the effects of stormwater pollution in the local area and how rain gardens are a great solution to prevent stormwater runoff. Participants learned how a rain garden can help improve local water quality and how to plan for projects through proper garden placement and installation. For the second event in the series, local residents joined in the York Family Ocean Friendly Garden Workshop. Volunteers met at the home of Bob & Dawn York to learn from Dru Harrison, from New Hanover County Soil & Water, about testing soil for drainage, measuring a roof area for rain diversion, the benefits of using native plants, and best practices for rain garden installation. To prepare the York Family OFG, the Chapter enlisted the assistance of Surfrider Foundation Cape Fear’s 2017 Volunteer of the Year - Mike Heath. Mike helped to determine the size and placement of the garden, dug out the site in preparation of the workshop, and donated the mulch used in the garden. Prior to installation, roof run-off from the York family home directly flowed to the street and into a drainage ditch that connects to Hewletts Creek less than a half a mile from their home. Now that water is instead held on-site. The York Family Ocean Friendly Garden slows the flow of rain water and filters out pollutants as as the rain soaks into the ground. This residential project was a great complement to the previous OFG projects that the Chapter has installed in previous years on public sites, showing that we can all take steps at home in our own yards to help prevent stormwater runoff from polluting local waterways. Learn more about Surfrider's Ocean Friendly Garden Program here.